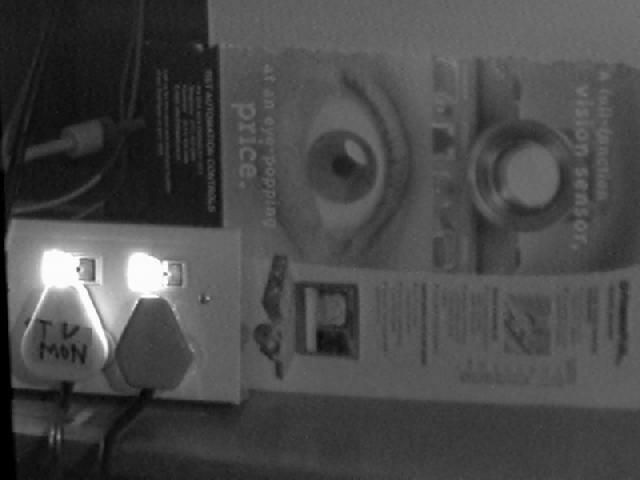 surveillance camera from RF Concepts, capable of working under illumination levels as low as 0.003 Lux. This camera is ideal for satellite tracking and astronomical imaging. 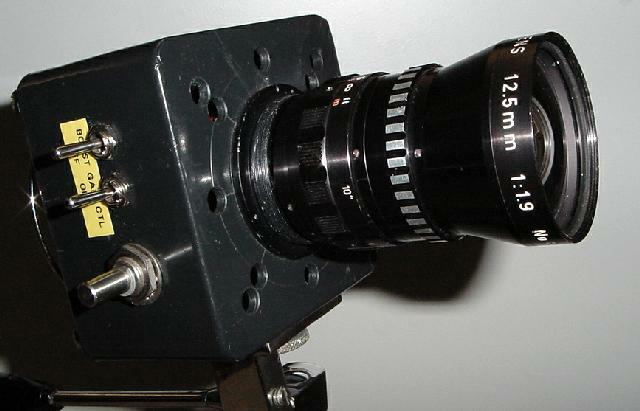 Being a board camera it first required to be built into a box fitted with a lens mount. camera's performance. 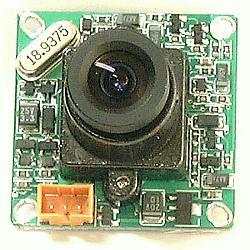 A regulated 9V supply was thus also included in the camera box. 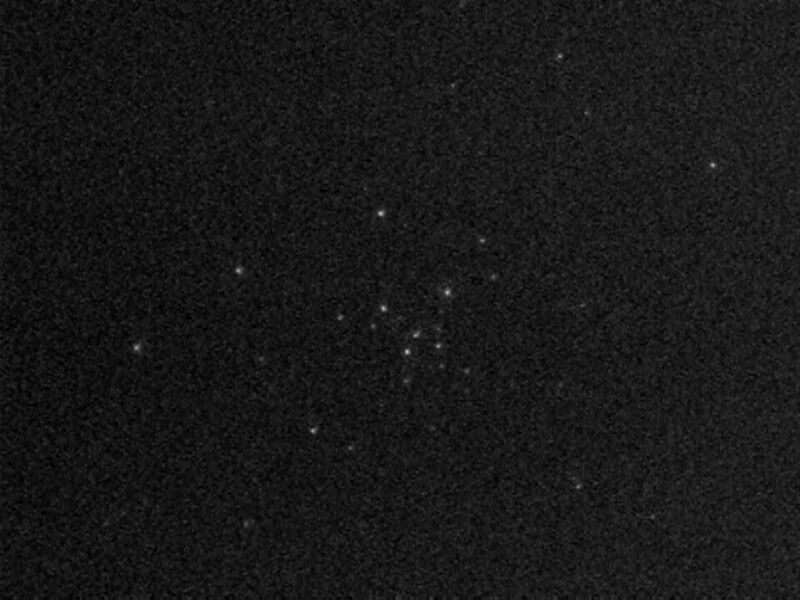 stars fainter than magnitude 9, running at PAL video rate (25 frames/sec)! 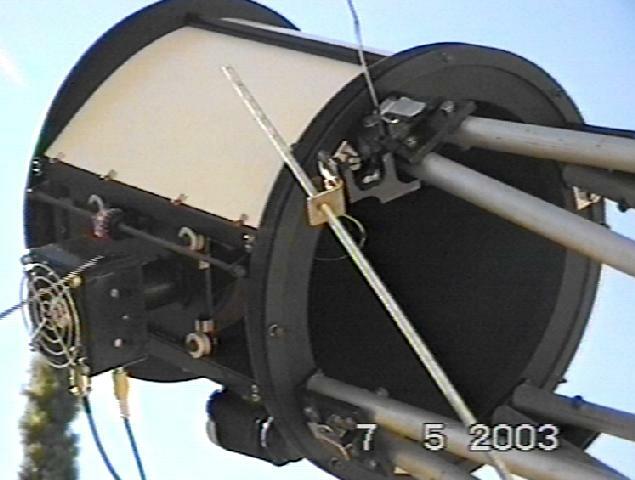 seen here while capturing the 7 May 2003 Transit of Mercury. Stunning views of the Moon are produced by this setup. over-exposes the object, trying to cope with the large area of dark background. Manual exposure control is thus required. where Steve Chambers and Jon Grove both experimented with this before. manual gain control and Jon's Increasing gain pin-14 mod, called Boost for the rest of this page. I added switches to both to disable them, effectively returning the camera to its original, unmodified state. 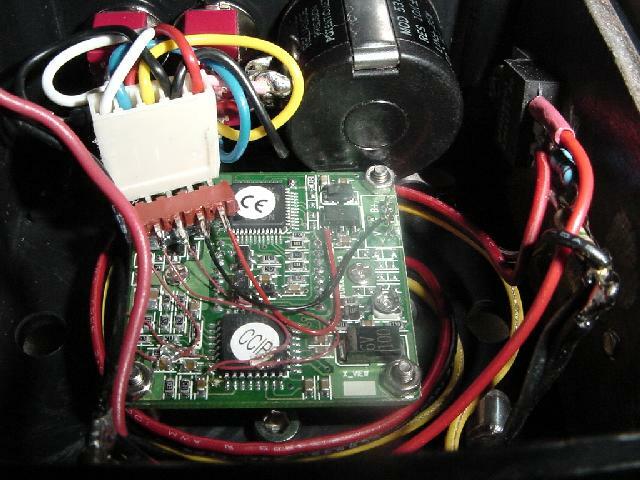 A view inside my camera box, implimenting the circuit above. 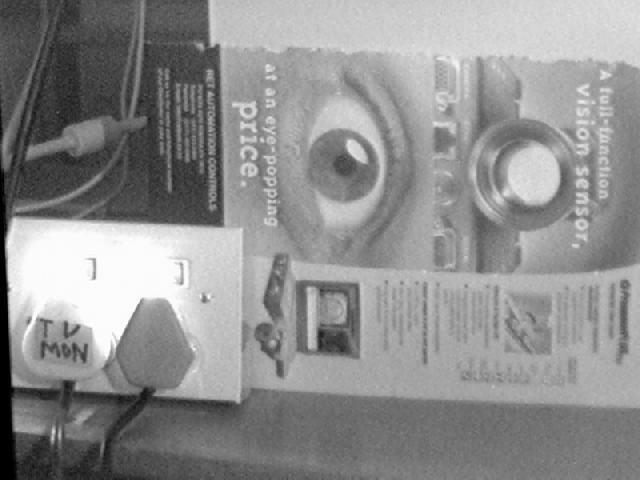 To ensure repeatable test results, I did some tests indoors at night, under controlled lighting conditions. The camera was fitted with a 12.5mm f/1.9 lens, mounted on a tripod and images captured using Snappy. As reference, this shows the scene under full room lighting conditions. 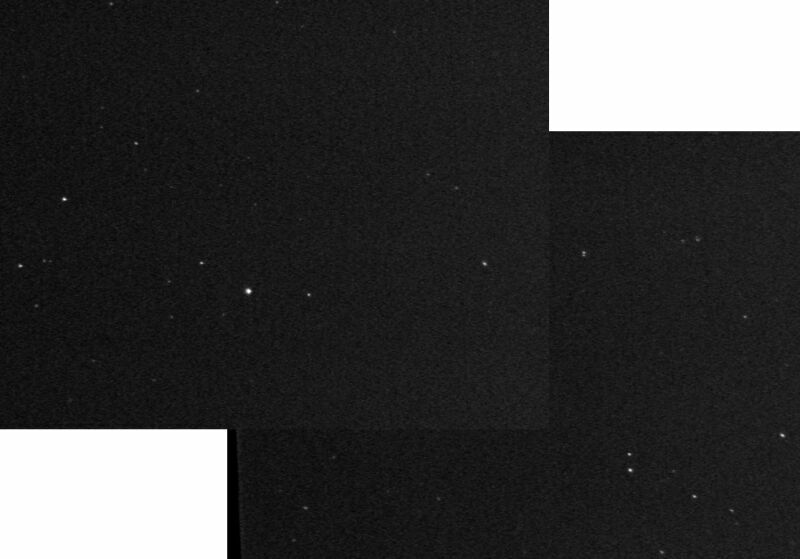 For the next three images, very dim lighting was used to test the effect of the gain mods. 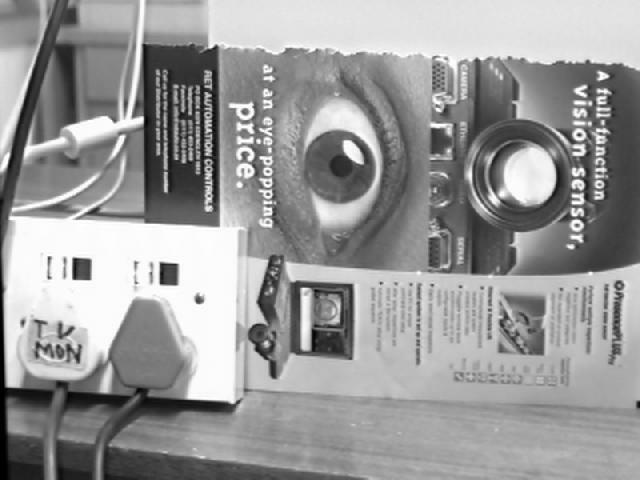 Under reduced lighting, this image was captured with the switches set to put the camera in its original, unmodified mode. The bright neon lights on the plugboard came out over-exposed with the rest of the scene washed out under the dim light. Firstly, the effect of Boost was tested by switching Boost ON. The picture brightens up considerably but also increases the noise. was already at maximum gain and that maximum Manual Gain does not increase the gain above this level. The pot was now set to minimum gain. becomes visible in the neons. The effect on limiting magnitude is best tested on the stars themselves but was not possible at the time since it was raining. 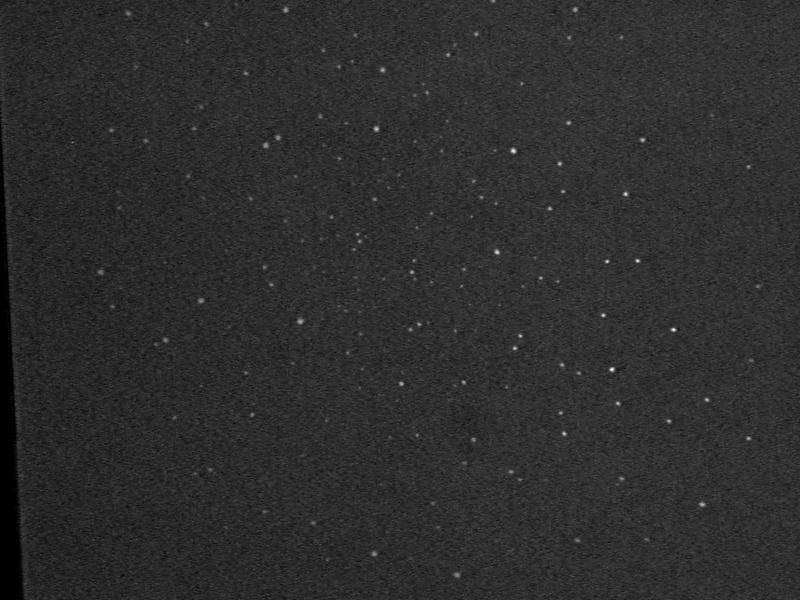 I therefore produced an artificial starfield by punching tiny holes in a piece of cardboard and placed it in front of a dimly illuminated surface. 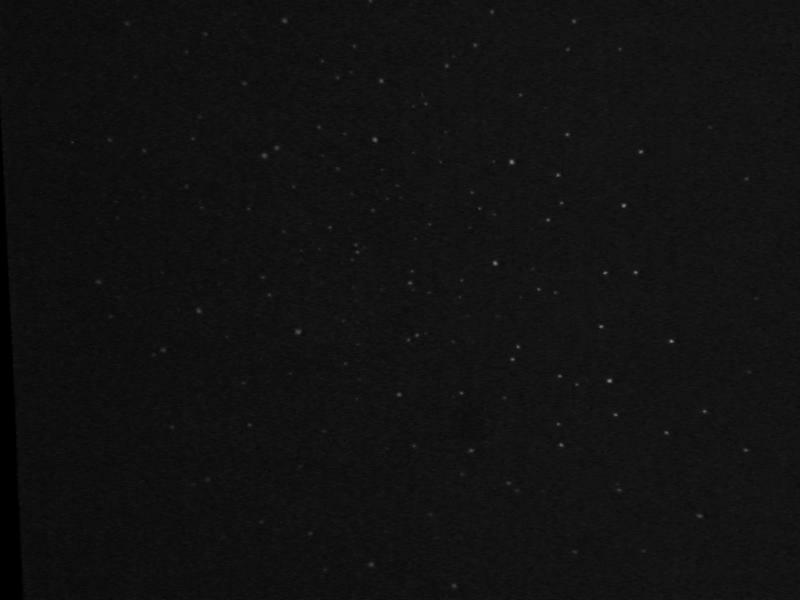 The "starfield" with the camera switched to its original, unmodified mode. The same scene, taken under identical conditions with Boost mode switched ON. The weather cleared the next night, allowing me to test weather the improvement is true in real life as well. Tests were done with both a 135mm f/2.8 lens (giving a 2.1° x 1.6° field) and the 12.5mm f/1.9 lens (giving a 22° x 17° field). The wide angle but lower liming magnitude capability of the 12.5mm lens makes is better suited for contellation views. Since it was winter, Scorpius was an obvious choice. Here is a reference field to magnitude 5.8, slightly higher than the capability of the lens. A composite of two images with the camera switched to its original state. The same shot, with Boost switched ON. A clear improvement in limiting magnitude. 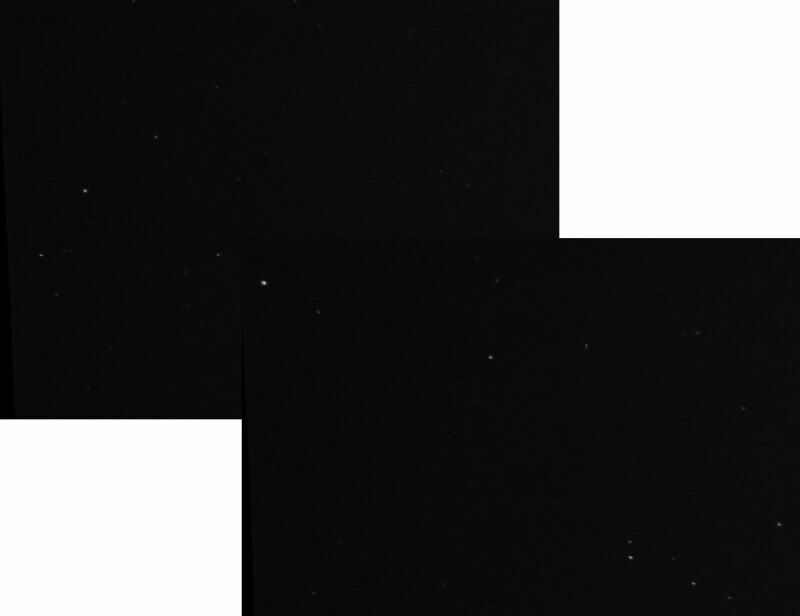 M7 was used to test with the 135mm lens, capable of about magnitude 9. Reference image, again slightly deeper, going down to magnitude 9.5. 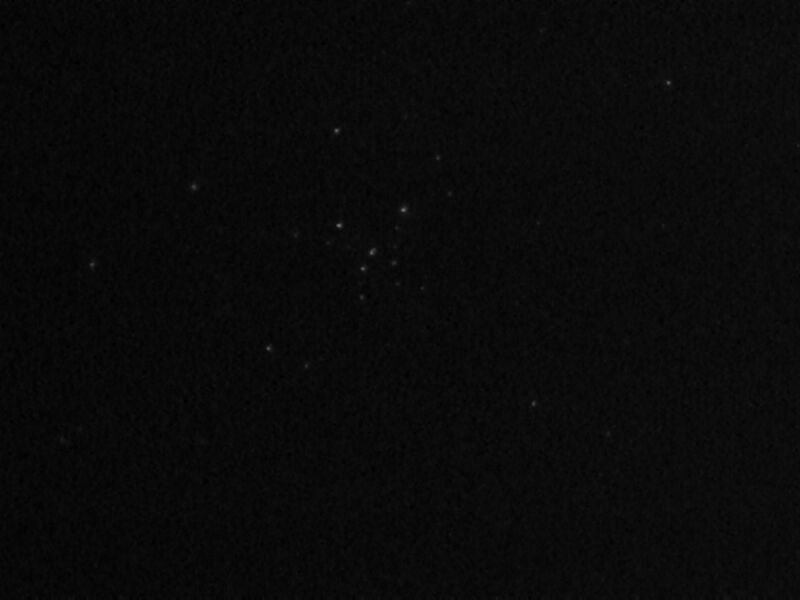 Open cluster, Messier 7 imaged with the camera in its unmodified state. M7 boosted. Again, the improvement is quite clear despite the increase in noise.